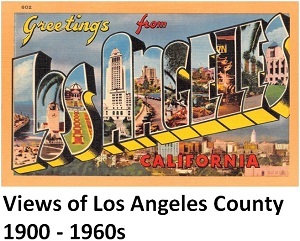 Los Angeles has had its share of regrettable mayors. Stephen C. Foster, 5th Mayor of Los Angeles, resigned as mayor in 1855 to lead a lynch mob. In a lawless Los Angeles at the time, Foster called a vigilante mob to be patient and give the court a chance to try an accused murderer, David Brown. If Brown wasn’t convicted, Foster promised, he would resign and lynch the defendant himself. Brown was acquitted and Foster kept the promise. He was re-elected to office a year later. Damien Marchesseault, 7th Mayor of Los Angeles, committed suicide in 1868, by shooting himself in the city council’s empty chambers. Marchesseault despaired over the suffering inflicted on his wife from his uncontrolled drinking, gambling and mounting personal debts and the public embarrassment it brought on them. Arthur Cyprian Harper, 26th Mayor of Los Angeles, resigned in 1909 rather than face a recall election. Harper and associates allegedly sold worthless stocks to local brothels and saloons in exchange for protection of prostitution and gambling activities. Charles E. Sebastian, 30th Mayor of Los Angeles and a former Chief of the LAPD, resigned from office in 1916 after less than a year in office. He did so after relentless bad press about an extramarital affair and a batch of letters he had written to his mistress, found by his wife, in which he demeaned his wife (“The Haybag Letters”). Frank L. Shaw, 34th Mayor of Los Angeles, became, in 1938, the first U.S. mayor successfully recalled from office. Shaw was alleged to have protected gambling and prostitution rackets and was implicated in a conspiracy with corrupt police officers to kill an anti-corruption private investigator. There is vigorous debate about the legacy of the 41st Mayor of Los Angeles, Antonio Villaraigosa. To be fair, we did not find that Mayor Charles Sebastian, who is on this page, behaved any more badly than did Mayor Villaraigosa. In fact, it could be argued that Sebastian's only real fault was his lack of marital integrity, but it would be difficult to argue the same for Villaraigosa. Nevertheless, for those who believe that Villaraigosa was the worst mayor ever, there are those who endorsed his 2018 campaign for Governor of California (such as the Los Angeles Times). Was Mayor Villaraigosa a marital cheat, ethics violator, more focused on his public relations image and city travel perks than on city business? Or was Mayor Villaraigosa willing to make difficult decisions for the city in the face of one of the worst economic crises in recent history and still remain focused on trying to improve the city’s safety, education, transportation and redevelopment? It is a tricky thing to judge the historical legacy of a living political figure when memories of their tenure in office are still fresh. So, we leave it to future generations to more fairly and objectively judge the legacy of this Mayor of Los Angeles. 1 Stephen C. Foster 1854-1856 Criminal. Hanged a man who was aquitted in court. Resigned from office to lead the lynch mob. Then expected his job back. He did resign first, but that made his act no less criminal. 2 Frank L. Shaw 1933-1938 Corrupt and dangerous. Protected illegal rackets for gain and implicated in a plot to kill an investigator. First U.S. mayor successfully recalled from office. 3 Arthur Cyprian Harper 1906-1909 Merely corrupt. Protected illegal rackets for gain. At least he resigned. 4 Damien Marchesseault 1861-1865, 1867-1868 Train wreck for a life while in office. Couldn’t rein in his drinking, gambling and debts. Committed suicide in city council chambers. Should have spared the city the drama and just resigned. 5 Charles E. Sebastian 1915-1916 Lacked marital integrity. Engaged in a secret extra-marital affair while in office. Demeaned his wife in love letters to the mistress and carelessly let them be found. At least he resigned when citizens disapproved.